As ever, one of my New Year's intentions was to read more books. Well, so far so good! (Certainly better than the 'less coffee, more water' venture. Must try harder on that one.) 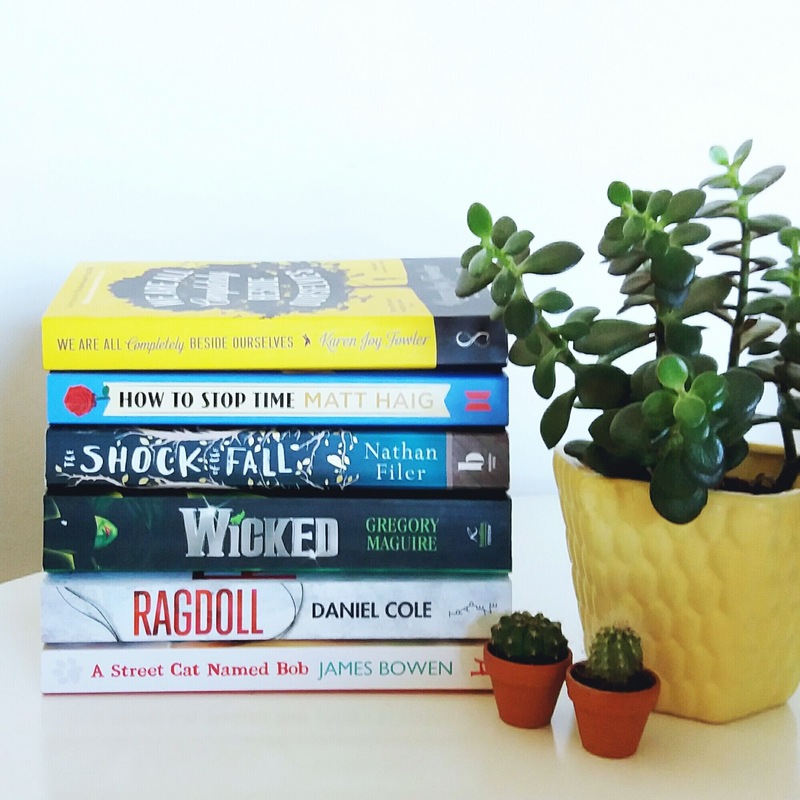 January was a long old month, but at least it was filled with some excellent reads! I went into this one knowing no more than what was in the blurb on the back, which was intriguing for sure, but I can't say the yellow cover didn't help make the decision to pick it up and Oh I'm glad it did. This is one of the most unusual books I've ever read, with one of the sneakiest twists, but it's wonderful. It's full of conflicting emotions and vaguely remembered memories that are so relateable - even if your own childhood wasn't quite so eventful as narrator Rosemary's. I don't want to say too much more in case of spoiling the twist, so I'm leaving it there. Loved it though, a lot. I picked this up after reading Matt Haig's 'Reasons to stay Alive' last year (which is completely brilliant and everyone should read it) - I read that on recommendation from a friend & actually didn't even realise that Matt had a stack of fiction under his belt too. Assuming they're all as good as this, my reading list is filling up nicely! I loved this book from the first chapter. The idea is so original and the narrator so instantly likeable, I found it hard to put down. It's a bit head spinning in places, trying to keep track of where (and when) the story is taking place in any given page, but that's part of the fun I suppose. Rumour has it this one's being made into a movie with Benedict Cumberbatch in the lead, which I think could be a perfect spot of casting. Oof! This, is one of those books that takes hold of your heart and doesn't let go. You know from the beginning that there's unlikely to be a 'happy' ending (To quote the back cover: 'I'll tell you what happened because it will be a good way to introduce my brother. His name's Simon. I think you're going to like him. I really do. But in a couple of pages he'll be dead. And he was never the same after that. '), but reading along with Matthew's history and his current battles with mental health and life in general, it's impossible not to fall in love and root for him all the same. It's a really beautiful book; poignant, honest and deeply moving. So we went to see Wicked The Musical last Friday (the tall one got me tickets for Christmas - It. Was. Amazing. All the emotions.) and before then, I must confess that I didn't actually know it was inspired by a book! But, on finding that out (thank you glossy programme!) I ordered it the next day and gobbled it up as quick as a munchkin running along the yellow brick road. I feel I should point out, it's almost nothing like the musical - certainly not as upbeat, wholesome & family friendly (for the love of Oz, do NOT let your Elphaba loving kiddos read this after seeing the show! ), and around the middle, it did feel like a bit of a slog with not a lot going on, but oh my goodness, I loved it. I haven't read a whole lot of fantasy style books since I was a tiny Alice in Wonderland & Chronicles of Narnia fan, but this definitely deserves a spot on the shelf next to those. It's dark, and funny, joyful and heart wrenching. It made me feel like I'd still love to visit Oz, but maybe just for a day. And I'd be watching my back the whole time! 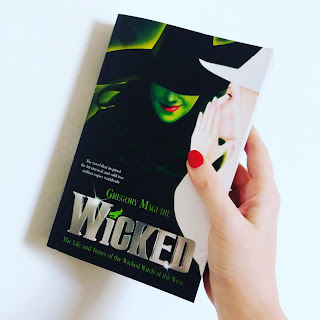 I'm glad I stepped outside the ol' comfort zone though, because I thoroughly enjoyed it - great characters, twisty-turny plot, fast moving, proper page turner. And, it's set in London, which makes it feel a lot less 'CSI' than some of the American based crime thrillers the Mr loves so much. I know, extremely late to the party on this one! I hadn't heard of Bob, or his human James until the movie of the book came out. I haven't seen the movie either, but remember seeing a trailer and thinking I'd like to, but never got around to it. Anyway, I spotted this in The Works for cheaps just after Christmas and thought why not. If you know me, you'll know I'm really not a cat lady - it's not that I've got anything against them, it's just that dogs are the best and I won't hear different. However, I am a sucker for an animal companion story, and this is a really beautiful one. It's also a real eyeopener with regards life on the street, how it's far too easy to take a cushy little life for granted and how we should all probably take a bit more time to be a bit more grateful for what we've got. So if you're as late to the party as me and you're thinking about picking this one up, I'd say definitely do. It's very readable and I suppose, a bit of a real life Cinderella story. Except one where the fairy godmother is a ginger tom cat. And that's it for January! !